Space. Combat. Alien worlds. Key ingredients in many a successful game, across the likes of Mass Effect, Star Wars: Knights of the Old Republic, Destiny, and numerous others. Of course, BioWare is responsible for a couple of those mentioned above – and they’re hoping to craft yet another space-based classic in their upcoming Anthem. This online multiplayer game isn’t due for release until later on in 2018, but it’s already shaping up to be a notable title with plenty to offer. What is it, and why is it worth getting excited about now? 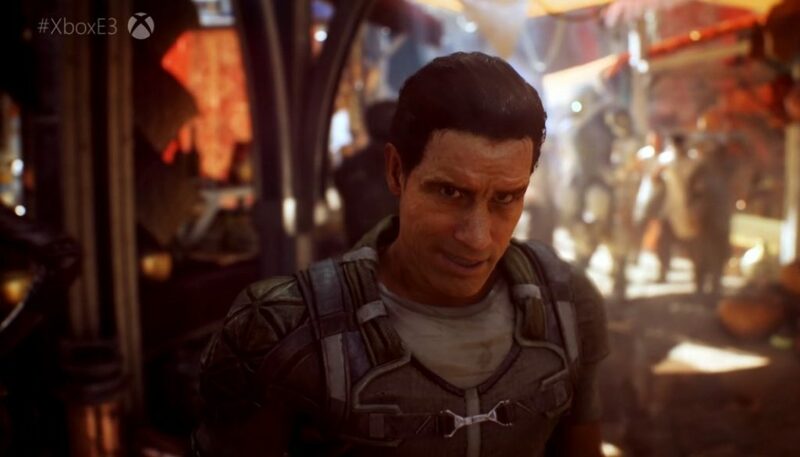 The trailer released for Anthem in 2017 was truly impressive. The visuals are stunning, with incredibly-detailed environments and characters, presenting futuristic locations with pretty jaw-dropping levels of realism. We should expect nothing less from BioWare, considering some of the gorgeous visuals they achieved in Mass Effect, but it really is astounding – especially when you think about how far away Anthem’s final form still is. One of the most amazing aspects of the footage released is the flying, with your avatar soaring through the air, gliding close to the ground, and ultimately diving underwater seamlessly. 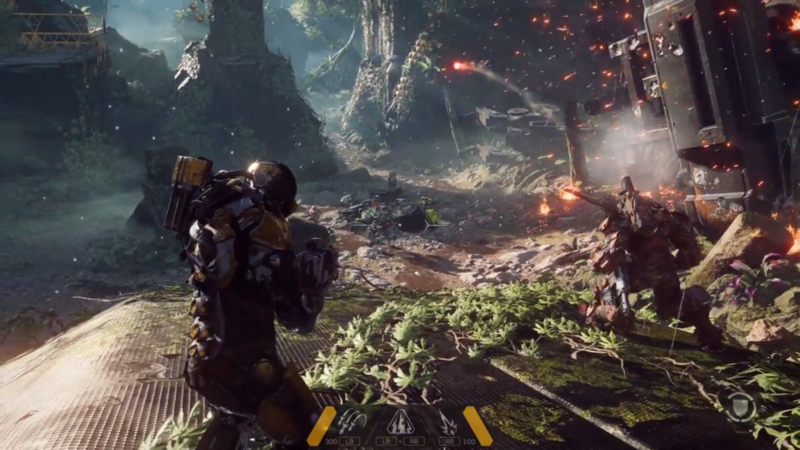 Anthem’s third-person perspective brings a real depth and scale to the exploration, allowing you to see just how enormous the locations surrounding you are. No matter what part of the locations the player visits, exploration and interaction seems to be just as exciting: going below water’s surface can lead you into vast aquatic areas, boasting a completely different look to the world above. Meanwhile, back at ground level, trees, wildlife, weather conditions, and more contribute to a world that appears to be a living, breathing creation. Obviously, Anthem has already been compared to Bungie’s Destiny games, mainly for its multiplayer functionality, futuristic setting, and similar character designs, but this seems to have a completely different feel so far. There are definite echoes of Mass Effect too, though it seems to be a grittier, grimier universe (another comparison to Destiny), rather than the cleaner aesthetics seen in Mass Effect. Apparently, Anthem’s science-fiction will be less grounded in reality than Mass Effect, and focused more on fun and invention. The game is being written by BioWare’s Drew Karpshyn, who worked on Knights of the Old Republic, as well as Mass Effect 1 and 2. He brings some real talent and experience to the table, and we may well end up with a narrative gripping enough to keep us playing for a long time. 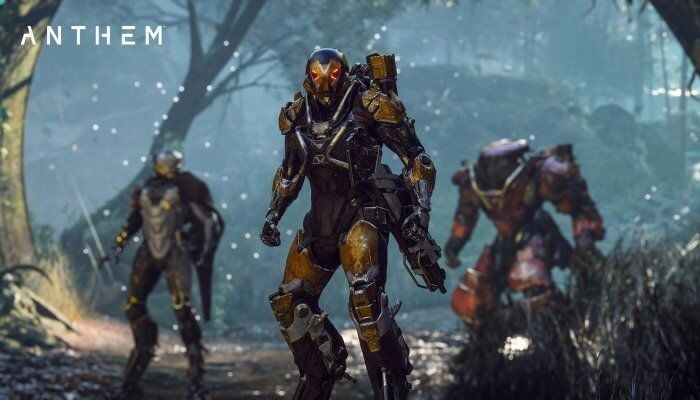 In Anthem, you’ll ply as a Freelancer, one of a courageous group who venture into the unknown where others fear to tread. Anthem’s human society live in a compound known as Fort Tarsis, which stands behind the Wall: a massive construction designed to keep the various threats outside where they belong. Freelancers go out into uncharted regions to source resources for others, whatever they may be. You’re equipped with that staple of sci-fi video games, the exosuit. Yes, yours (a Javelin, as they’re known) is an Iron Man-esque creation you’ve seen in the likes of Mass Effect, Dead Space, and countless others. You can change your Javelin throughout the game to gain different skills and abilities, customising them to give you various helping hands. As the footage released suggests, the Javelins should be lots of fun to play around with, equipped with heavy artillery and flight capabilities. You can add extra attachments and gear upgrades during the course of your travels, making your own exosuit unique to other players’. Changing your Javelin will let you play as a different class, giving you a fresh experience without you being expected to start the game anew. We’ve seen the Ranger and Colossus Javelins so far, which are sleeker and bulkier respectively. 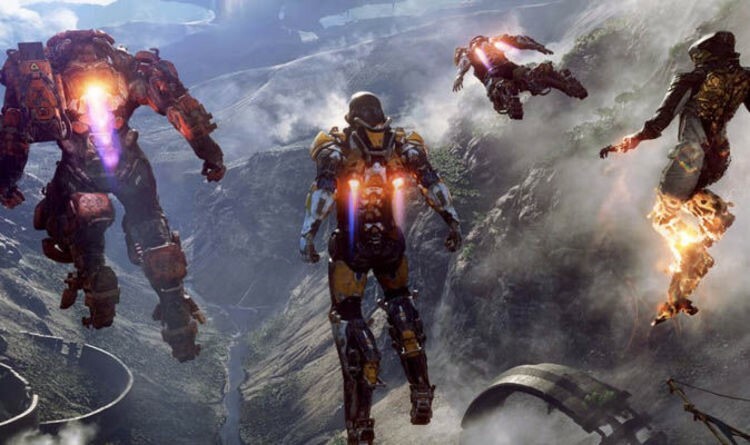 Anthem supports co-op, but it can be played solo too if you wish; teams may consist of as many as four players, all working together to achieve shared goals. 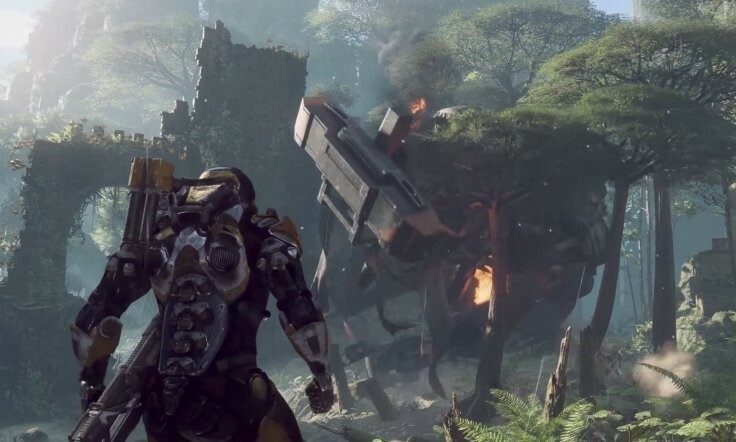 Apparently, BioWare has been working hard on Anthem for more than four years now, and have a long-term goal in mind, hoping that players will stick with the game for as long as ten years. As this is an open-world RPG with a real social slant, you’ll be able to explore shared hubs, where you can meet people and pick up quests from various characters; all of these sequences will take place in a first-person perspective, while the rest of the game is fixed in that incredible third-person format. During Anthem, you’ll encounter Shaper Storms – huge dynamic world events which enable you to travel to other areas to complete tasks. They look absolutely mind-bending in the footage revealed, filling the screen with crackling lightning and ultimately making a massive impact on the surrounding environment. Just watching Freelancers fly into a Shaper Storm’s eye is thrilling, so actually guiding your own character into such a powerful virtual phenomena should be a blast. All in all, Anthem looks set to be another massive hit for BioWare, taking inspiration from classic and newer sources alike whilst crafting something awesome. The game’s still quite a way away, but expect to hear lots more about it throughout 2018! Are you excited for BioWare’s upcoming Anthem, and what do you think of the footage released so far? Let us know!